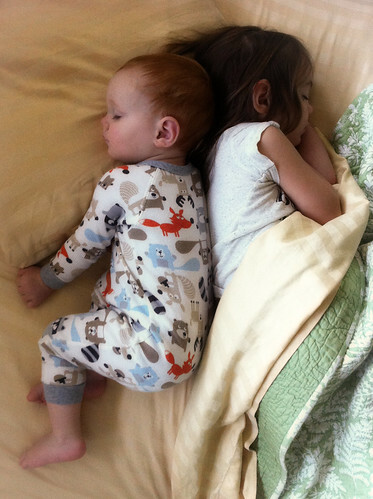 Sleepy Babies – 365, 218, originally uploaded by Fluttering By. Remember what I said two days ago about Molly getting to be big? I take it all back. She’ll always be my baby girl. Marcus, apparently, did not mind one bit.